I wasn’t excited about our trip to Costa Rica. Probably because the only thing I’ve heard is that it’s a very expensive country. But we were traveling long term, on a budget and didn’t plan on stopping. How did it go? 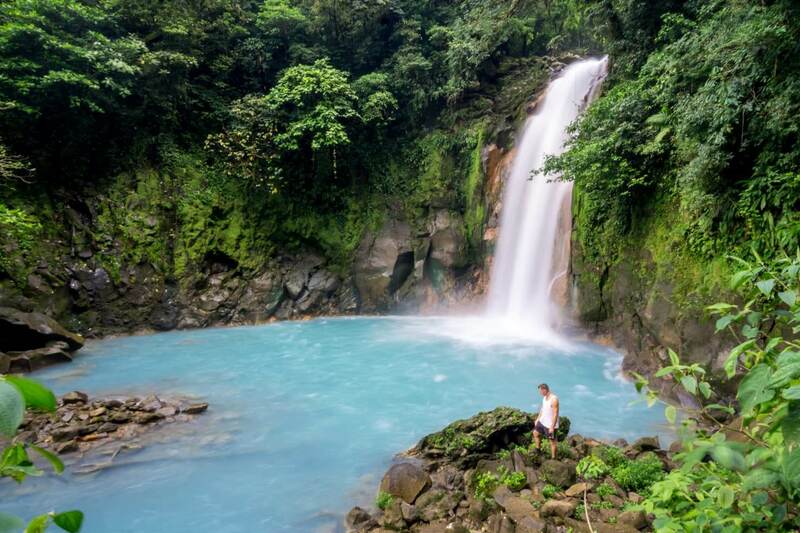 Continue reading to find out our recommended Costa Rica itinerary: 10 days of beaches, waterfalls and rainforests. I always say – it’s as expensive as you make it. 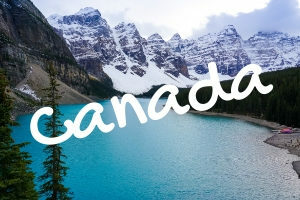 It also depends on whether you want a fancy vacation or a local experience. You can get yourself a luxurious rental property in Costa Rica or you can stay at family owned little hotel. You can eat at US chain restaurants or visit local stalls. After visiting Guatemala, El Salvador and Nicaragua, Costa Rica was quite a shock. It’s a developed country with high prices but also high standard. 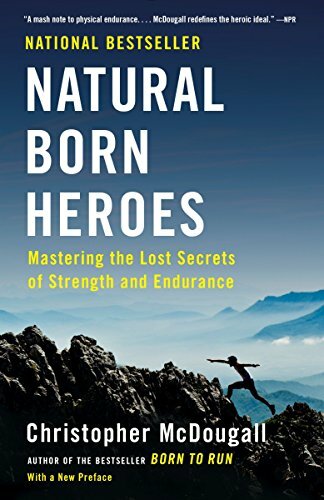 Western culture is dominant and most people speak perfect English. Many travelers don’t squeeze in the buses but rent a car. Roads are paved, have signage and road rules are obeyed by visitors (not so much by locals). In popular towns, Eco lodges line up the streets. We came by bus from Nicaragua and our first stop in Costa Rica was Liberia. What for? To rent a car. Bus options are limited and the best way to make the most of our short visit was traveling around by car. If you will be flying in to San Jose, you can still use this itinerary; just use it in the opposite direction (from day 10 to 1). 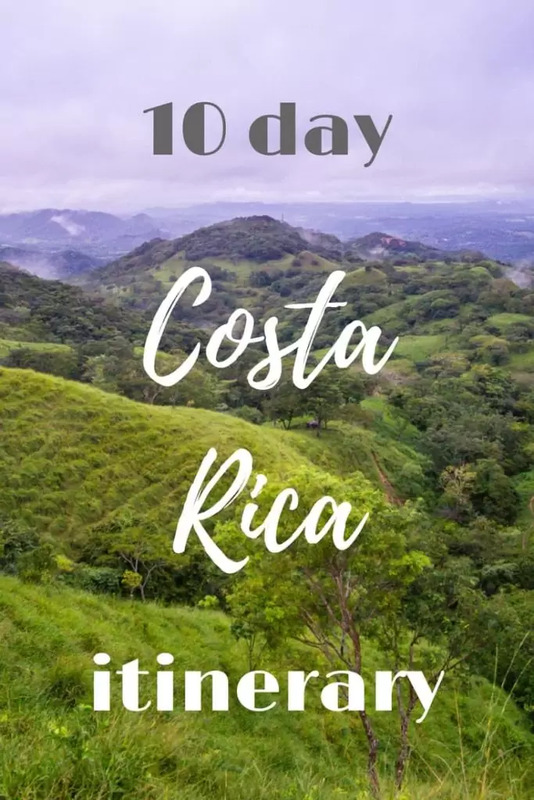 Even though Costa Rica is a small country, we’ve spent 10 days in the northwest part. 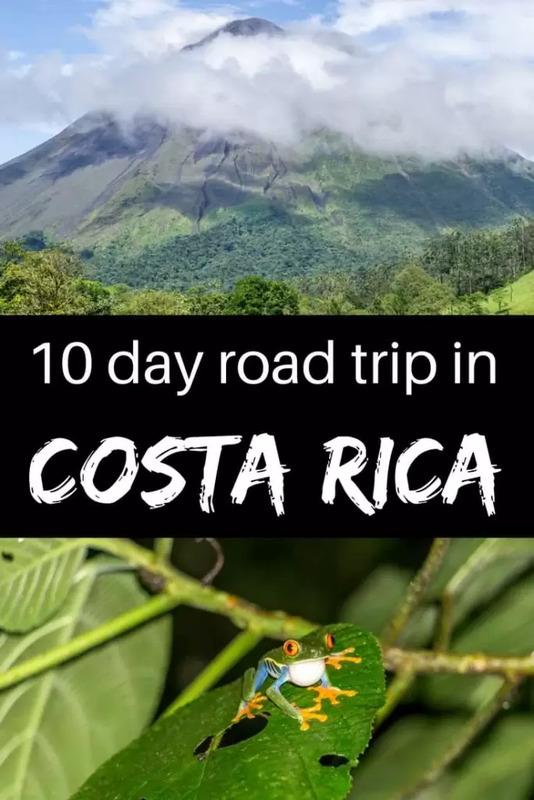 The reason was simple – not to spend too many hours driving the hilly and winding roads and rather enjoy the jungle atmosphere Costa Rica is famous for. If you will be as exhausted as we were from Nicaragua-Costa Rica border crossing, then you will want to go straight to the beach. One of the best beaches for surfing, for beginners and advanced, is Playa Tamarindo in Guanacaste Province. You can also go watching turtles during the nesting season, diving, snorkelling, kayaking or white water rafting. Start your day as early as you can, you are going to the drier part of Costa Rica where it gets incredibly hot during the day. Head back towards Liberia and to Rincon de la Vieja National Park. Rincon de la Vieja or Old Woman’s Nook is an active volcano 1,895m tall. This park is famous for its geothermic activity. If you’re familiar with Yellowstone national park in the US, then this is a smaller version of it. Park has 7 hiking trails from 3-10km. Due to the volcanic activity, trail to the crater is closed. 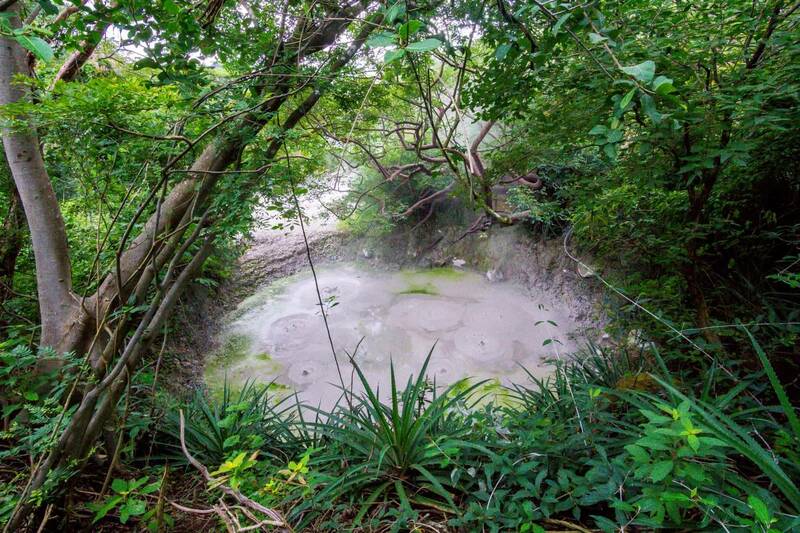 Other trails will take you around the boiling mud pots, La Cangreja waterfall (on the longest trail) and the best part is Volcanito (little volcano) which is constantly bubbling. It’s a rare opportunity to observe a small volcano from just few meters away. Info: entrance fee is 15USD and you can spend here from 1,5 hours on the small loop to 5 or 6 hours if you go all the way to the waterfall and plan to have a picnic in the park. 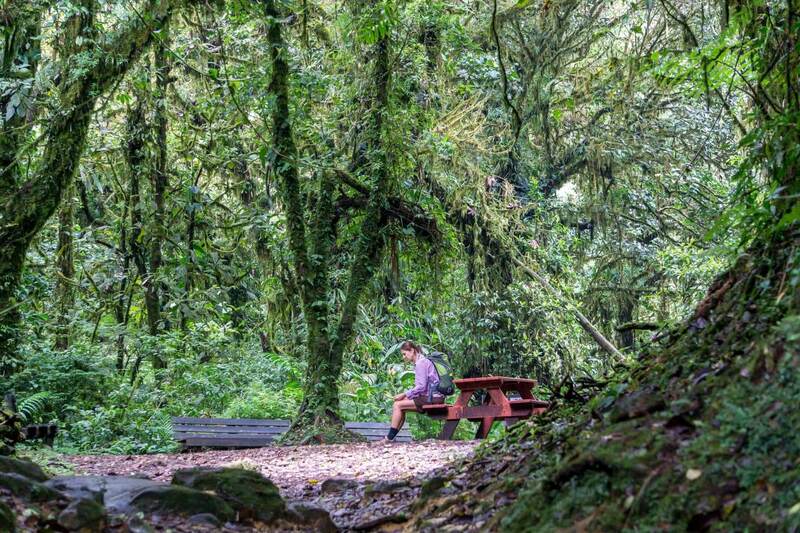 After leaving the park, make your way to Monteverde. You will drive on the mix of paved and gravel roads. Even though google maps say it takes 3 hours to Monteverde, it may as well take 5 hours. The roads are winding with plenty of blind corners and common road maintenance can slow you down even more. There are also many stops along the way with jungle views which are still enjoyable before the sunset. Monteverde has plenty of lodging options from budget hostels to high end hotels. Choose whichever suits your preferences. 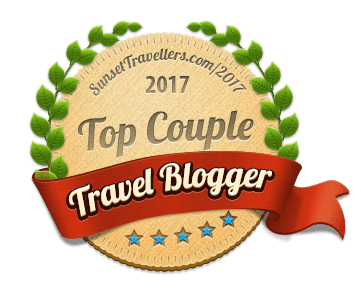 We stayed at Montelena Backpackers guest house where you can also book tours around Monteverde. 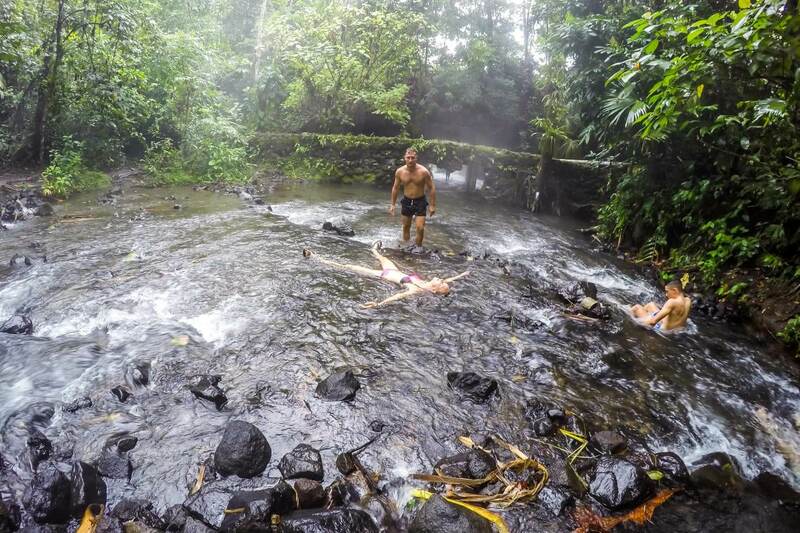 You will find the Monteverde climate to be cool and humid, the exact opposite of Rincon de la Vieja national park. Monteverde is one of the main hubs of Costa Rican tourism and our favourite place. 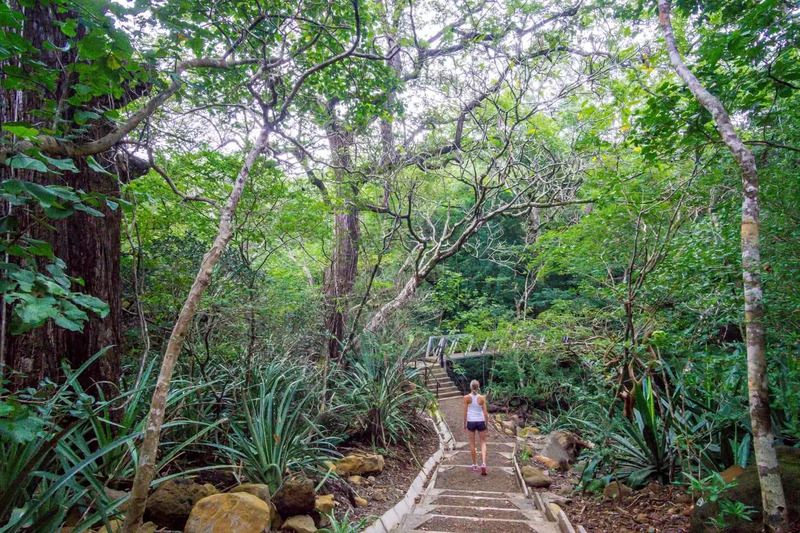 After sweating for a few days, the rainforest hike in Monteverde Cloud Forest Reserve will feel like a fresh breeze for your senses. It has the world’s largest collection of orchids and wildlife including jungle cats, howler monkeys, coatis (similar to raccoon), hummingbirds and tarantulas. 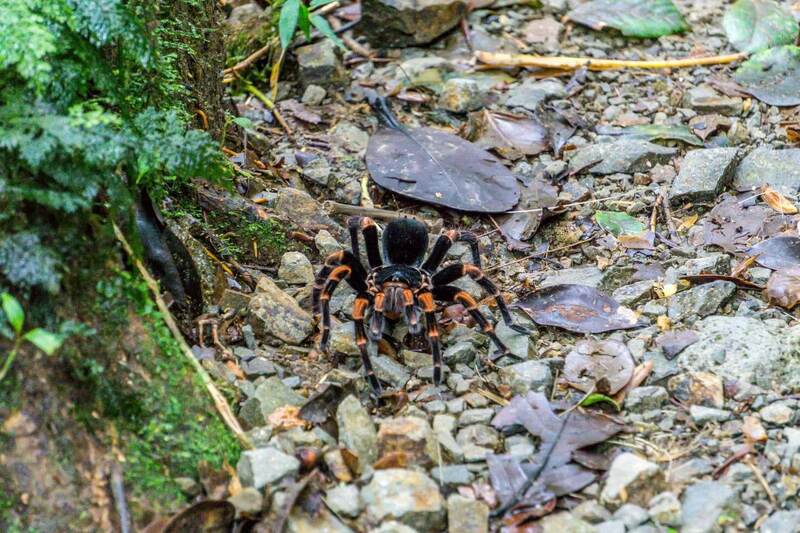 Keep your eyes wide open when walking so you don’t almost step on a tarantula..it almost happened to us. We’ve visited in October, the rainiest month, and enjoyed the fresh air with occasional showers and without herds of tourists. After the jungle hike, visit the Butterfly Garden for a 1 hour tour. 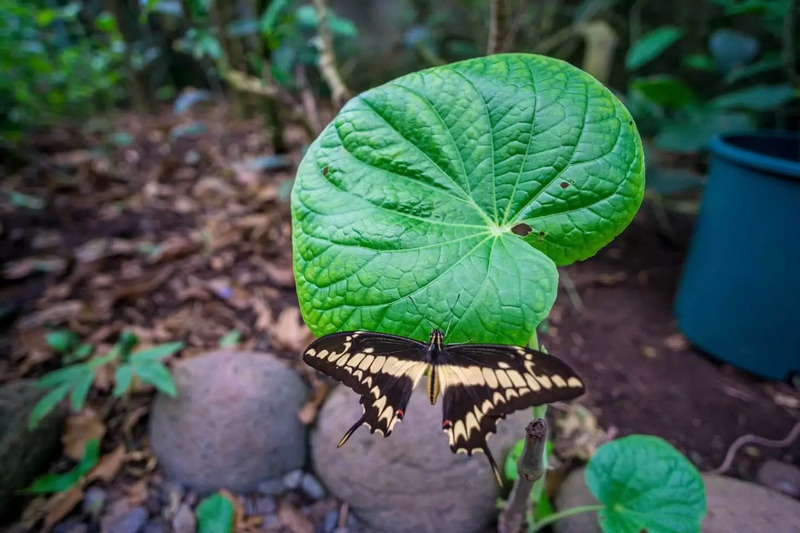 A guide will show you 4 different gardens full of butterflies; introduce you to the many species of bugs living in Costa Rica and their unique lives. We got to release 4 butterflies into the gardens which was my personal highlight of the tour. 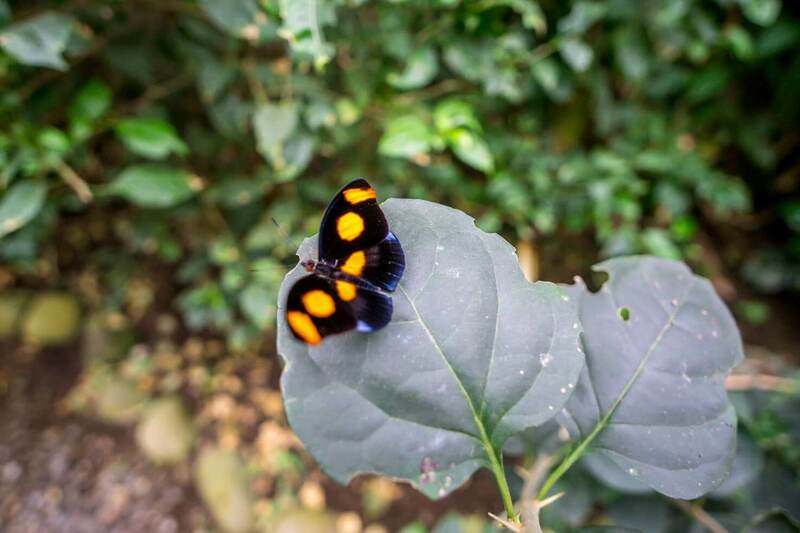 Info: average temperature is 20C; entrance fee to the Cloud Forest Reserve is 20USD, entrance fee including a guide to the Butterfly Sanctuary is 15USD. Canopy tour – one of the most popular attractions in the area. Series of suspension bridges or zip lines will take you over 700m high through observation towers to see the rainforest. 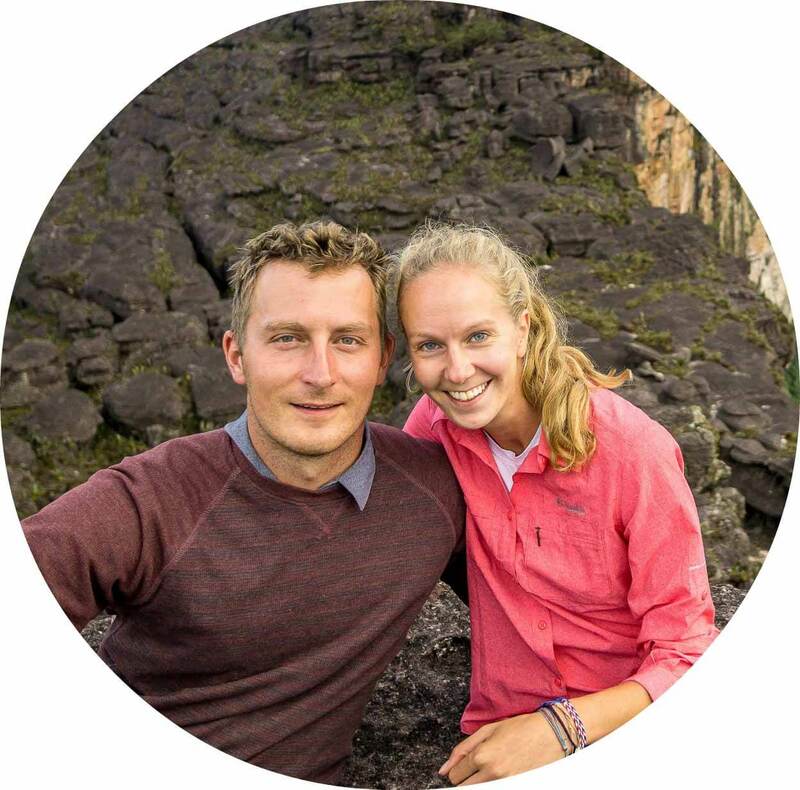 Night walk – guided nightly tours are popular for spotting wildlife. 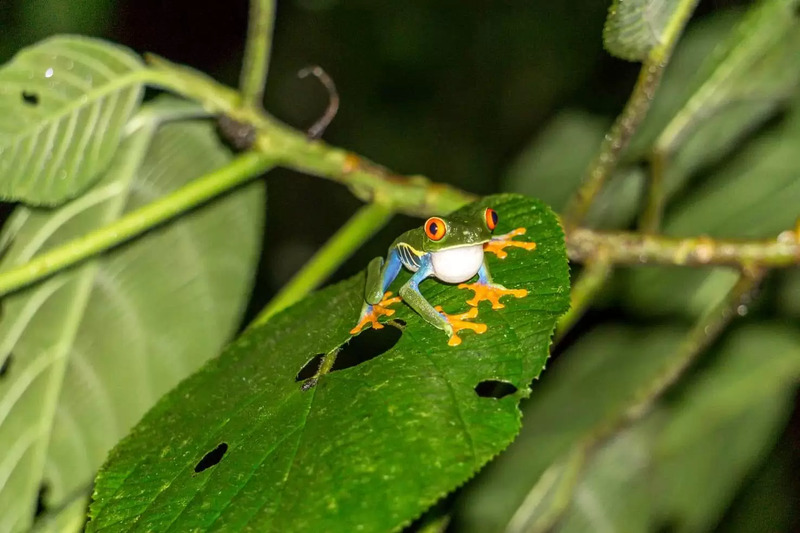 If you don’t see wildlife on your own, consider a guided tour to get the most of the Monteverde region. 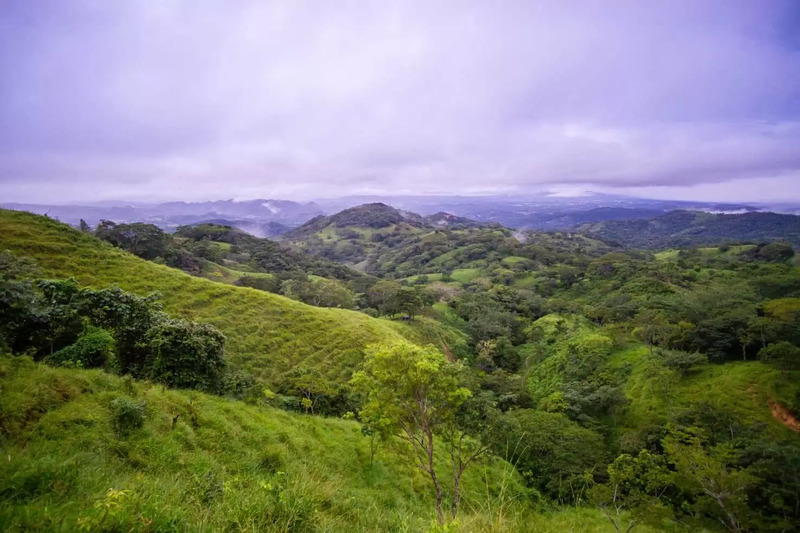 The drive out of the Monteverde area offers many pit stops with beautiful views until you reach the paved road. Tenorio Volcano National Park is one of the most famous places in Costa Rica. Once you see the colour of the waterfall, you’ll understand why. 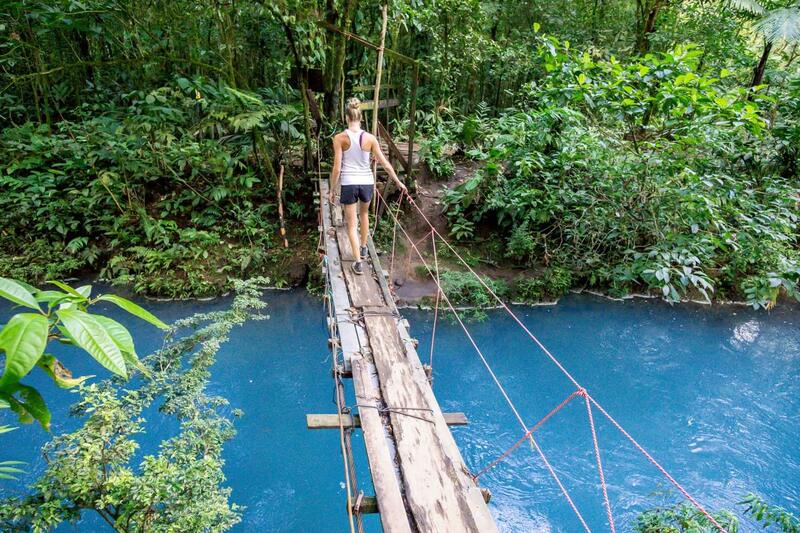 The easy 6 km hike will take you along the unbelievably turquoise river Celeste to the 18m Celeste Waterfall. Drive from the national park to La Fortuna, near the Arenal Volcano National Park, should take you under 2 hours on mostly paved road. Info: swimming in the national park is forbidden, parking fee is 2USD and entrance fee is 15USD. 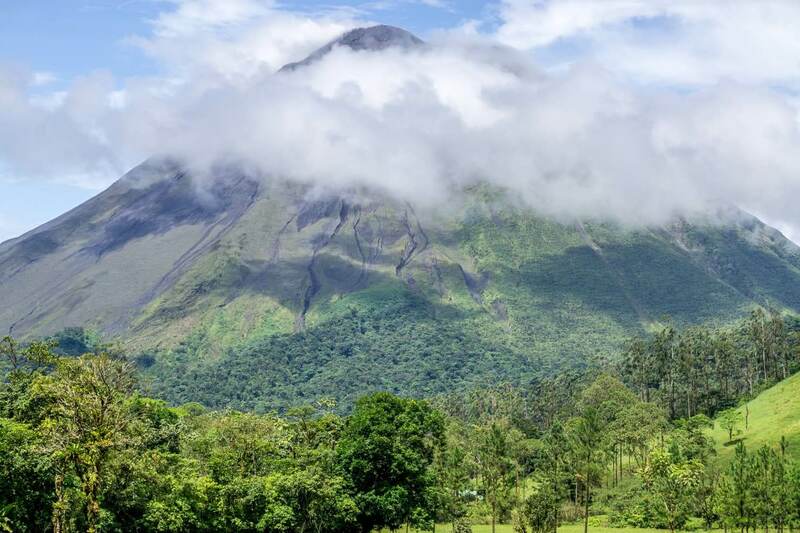 The mass tourism around the volcano started because of the lava flow coming out of the Arenal Volcano. Although it has stopped, it remains a popular spot for hiking, rafting, wildlife watching, waterfall chasing and our most favourite activity – bathing in the hot river. You can visit luxurious spas anywhere in the world. But try to find a hot river, heated by a volcano, in which you can bath. And I bet you can’t. It is a unique opportunity to try it by visiting Mini Tabacon (and it’s totally free). Popular place where locals and tourists hang out in the river, in the evening by the light of candles and relax. Check which airport you’re flying from. Most international flights depart from Alajuela, a city close to the capital San Jose. From experience, I recommend you to drive from La Fortuna to Alajuela / San Jose during daylight. The road is paved, but it’s very hilly, winding and offers yet again beautiful views. Keep in mind that the sun sets around 5:30 all year round, therefore most of the parks and attractions close at 4pm. On all the roads we’ve taken, we didn’t need to rent a 4 wheel drive as many of the online advice suggests. We rented regular front wheel drive Toyota Yaris and were just fine. Gravel roads were normal gravel roads you find in any country around the world. I would rent a 4×4 if you’re planning to do a different trip where you may need to cross rivers or drive on non-maintained roads. Do you like our outdoor itinerary? Let us know in the comments below. Disclosure: Some of the links in this post are “affiliate links.” This means if you click on the link and purchase the flight, we will receive an affiliate commission, at no extra cost to you. We only recommend products and services we personally use and believe they will add value to our readers.